1. Fauzia, based on your company's 20-year history of helping 2,000 authors promote their books to digital media, what lessons have you learned? Oh, where do I begin? So many things . . . There really is no better time to be an author. Social media has changed the publishing landscape. Now, for the first time in the history of publishing, authors have direct access to their readers. While there is more competition in the marketplace today, there are also more opportunities for authors than ever before. Authors can now reach their audiences directly with the accessibility of social media. I've learned that a long-term strategy is necessary for an author to successfully build and grow his or her brand. It's so important for authors to identify their specific audience so they can create a book and a message that helps them. As you can imagine, the authors I work with want their books to sell well. The key to marketing success is to find your ideal audience and serve them better than anyone else. Some other things I've learned . . . Think of your book and brand as a business. You're not going to be good at some things. Get help in those areas, and do your best work where you can. Go for quality over quantity. When I talk with authors/clients about their online marketing plan, I always tell them to go for quality over quantity. Engagement is much more valuable than the number of followers. While we all love the instant gratification of getting 1,000 shares and 10,000 followers, it's better to aim for quality relationships of give and take with readers. Quality followers are people who are engaged with your work and they are interested in what you have to offer. Publicity (or media attention) is important for any business. I once thought a well-written press release would be the ideal way to help authors get the word out about their books to the press. I quickly learned that the best relationships (with media or anyone) are never developed with a one-size fits all approach. I now advise authors (or anyone trying to get media attention) to contact each editor individually and customize their message to that person. Yes, it takes more time but it's so much more valuable than a blanket approach. 2. What prompted you to write Online Marketing for Busy Authors: A Step by-Step Guide? In all my years of working with authors, there is one common challenge all authors face—how to spend their time effectively promoting their book and expanding their brands online while also writing the best book possible. I work with many authors who are overwhelmed at the thought of jumping into social media, so I wanted to write a step-by-step guide to help authors navigate their online marketing efforts and spend their time wisely. Having visibility online is not just about selling a book; it's about building a career. 3. One of your suggestions is for authors to develop and build a mailing list of "super fans." What exactly qualifies someone to be such a fan, and how do writers go about developing such a list? A super fan is how I refer to the subscribers on an author's email list. If someone subscribes to receive your emails, they want to be a part of your community, and that's a big deal. I call them super fans because they are giving an author permission to show up in their inbox. An author's email list is more valuable than all the social media tools put together. An author's super fans are the ones who will pre-order their book, or are the first in line to buy a product that author recommends. The people on our email lists are important, and we have to treat them as such. Write a blog with content of value and do so consistently. Consider offering a free resource, tip sheet or ebook for your community to sign up to your list. Start conversing with people online who are in your niche. Blog for sites with a big following. Start a Facebook business page. 4. You don't mention the role that traditional media plays in conjunction with online media. Certainly there's a whole world beyond what comes upon a screen, isn't there? Yes, of course. Brands have to be visible where their audience is -- and the more an author shows up offline and online, the better an author can position their expertise and build community. We want authors to use all platforms to get their messaging out -- traditional media and online media. Yet there is no doubt that most people "Google" an author to check out their online presence. 5. How did you get into book publicity as a career, particularly online media? I wanted to be on the leading edge of Internet marketing and publicity for authors and I made the leap without worrying about all the risks. I was 27 and fascinated with all of the developments that were starting to happen online. I figured if it didn't work out, I could always get a regular job. Twenty years later, I can tell you I've loved owning my own time, having flexibility in my schedule, and learning new things every day. I've made my share of big and expensive mistakes, but I've never turned back. 6. What are the key steps for authors to design a great long-term engagement strategy for social media? Effective marketing is about creating authentic conversation with your specific audience by consistently providing valuable information. Creating a community is a marathon, not a sprint, so the sooner an author can start (and realize they are in it for the long haul), the better. A great long-term strategy involves an author understanding personal branding, identifying goals, knowing their audience, formulating a content strategy plan and then starting a conversation online. A successful strategy should include a professional website, blogging, and using one or two social media platforms to begin. Why do you want to become a best-selling author? Did you write a book to grow your business? Do you hope to inspire or help someone? Not only does the reason for writing your book drive your objectives online, but it also can be a motivating reminder to stay consistent with your online efforts. As an example, I wrote Online Marketing For Busy Authors so I can help more authors be proactive about promoting their books. I love to see an author's dream come true. Reminding myself of why I wrote my book -- to help authors -- drives everything I do online and in my business. 7. What do you say to convince writers they should blog on a regular basis? I consider blogs (like websites) the foundation of an online strategy. Not only do blogs give authors the opportunity to stay connected with their readers,they also position the author as an expert. As authors continually write in their niche, they will connect with and identify their ideal audience. These authors will be positioning themselves to promote more books, as well as apps, conferences, videos, their website and more. When an author becomes known as an expert in a field that author also becomes more valuable to publishers and agents. Blogs are also the absolute best way to drive traffic to websites. 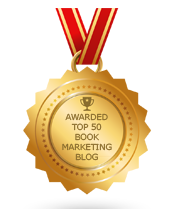 For book authors in a competitive marketplace, the need to blog couldn't be higher. Is a way to consistently find your community. Can showcase your value by giving your audience a sampling of the content you create. Keeps your site up to date. 8. What should an author's online brand look like? An author's brand is their story and expertise. An author should think of their brand as what they want to be known for, or their knowledge. Two great examples are happiness expert and author Gretchen Rubin and vulnerability expert and author Brene Brown. Both are so honed in on their area of focus that their names are now synonymous with their brands. Once an author knows how they want to position themselves, they should start a conversation online. Finding an audience and establishing an online platform takes time, so I advise authors to start as soon as they have an idea for a book. Lead with value. Think of who you want to help. Think of the problems you want to help solve for your audience and share your knowledge or tell a story. Create connections through online conversation, always offering value with solutions, ideas, resources or expertise. It's easier for non-fiction authors of course, but novelists can find common interests as well. 9. Which social media platform is the best one for a writer looking to sell his or her book? Why? In my book I help authors identify their niche so they know where to find their audience online, but in a more general sense, I'd recommend Facebook. Withover a billion monthly active users, Facebook is the market leader for socialnetworking sites, according to a Pew report and Sprout Social. These numbers alone make a good case for authors to use Facebook to connect with their readership community and promote books. It's also easy to use for most authors. So, I usually tell authors to begin with a professional website and a Facebook author page. The geo-targeted advertising on Facebook has been very effective for my clients. Facebook is also planning to improve search, events, and live streaming this year so it's worth keeping an eye on Facebook. About Fauzia Burke: She is the founder and president of FSB Associates, an online publicity and marketing firm specializing in creating awareness for books and authors. She's the author of Online Marketing for Busy Authors (Berrett-Koehler Publishers, April 2016). Fauzia has promoted the books of authors such as Alan Alda, Arianna Huffington, Deepak Chopra, Melissa Francis, S. C. Gwynne, Mika Brzezinski, Charles Spencer and many more. A nationally recognized speaker and online branding expert, Fauzia writes for the Huffington Post, Maria Shriver and MindBodyGreen. For online marketing, book publishing and social media advice, follow Fauzia on Twitter (@FauziaBurke) and Facebook (Fauzia S. Burke). For more information on the book, please visit: www.FauziaBurke.com. How will you celebrate National Readathon Day? Does the book market resemble food trucks? Should the Bible be endorsed as an official state book? Can authors audit their writing like they do their taxes? What is America’s actual reading capacity? How Old Is Too Young For Blue Language In Books? How Do We Create Great Writers? Copyright Conspiracy: Fiction or Fact? Can Writers Succeed In More Than One Genre? Can The Book World Recover From PublishingGate? Are There Any Standards In Place For Authors? What Shouldn’t Authors Write About? Is The Book Industry Racist? Will We Ever Manufacture Another Shakespeare? What Are The Top 10 Fiction Books? Is Today's Book Industry Better Off Than In 1980? What Would Writers Do If They Didn’t Write? Why Don’t Books Feature Ads? Has The Book Industry Grown In A Good Way? Should All Books Be Published With Criticism? Can Authors Lie About Fiction? Is It Time To End The Book Embargo Against Cuba?